We’ve got your music opps covered! Check out the latest below. Nannup Music Festival will soon be taking applications for artists and performers for 2020. Applications open May 1st 2019. Applications for Australia’s largest industry drawing music festival, BIGSOUND are now open! 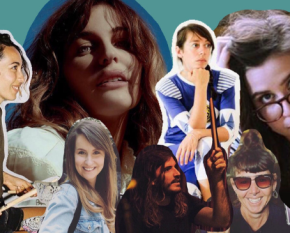 BIGSOUND presents Australian artists with the extremely rare and valuable opportunity to showcase their wares to a national and international music industry audience. Applications close Midnight AEST May 2nd. The $1 million Contemporary Music Fund Grant Program is now accepting applications for grants up to $15,000. Grants are available to assist WA artists and music industry professionals with the costs of producing and promoting their work. Download the program guide for more information on how to apply, eligibility, key dates and more. The Women Nation Fund is a global, early-stage fund investing in female-founded live music businesses. Its purpose is to provide access to capital for underrepresented female entrepreneurs in the Concert Promotions, Events and Festival space. Businesses will be evaluated by a team of International Live Nation female executives with domain expertise across promotion, booking, technology, ticketing and PR/marketing. The PPCA Performers’ Trust Foundation provides grants to promote and encourage music and the music-related performing arts. The grants provided are non-recurring (i.e. one-off grants rather than a periodical payment) and are determined by the four trustees of the trust. A grant under the PPCA Performers’ Trust Foundation can be used for costs associated with: Tuition fees; Travel costs (hire, airfares, petrol); Accommodation; Venue hire/ PA hire. The American Express Music Backers Program will provide a boost to the Australian music industry and the fans that support it so we can play our part to help it thrive for many more years to come. Committed to support the Australian music industry by giving music venues, business, artists and fans the opportunity to share in a grant program valued at $1million, over the next twelve months. The Cultural Trust offers grants up to $10,000 to assist talented emerging and early career artists to take up professional development opportunities, usually overseas. The Contemporary Music Touring Program (CMTP) supports national touring activity undertaken by Australian musicians performing original contemporary music. It provides travel support of up to $15,000 for artists and their manager for tours in Australia that include performances in regional and remote areas. Applications close Tuesday 1 October 2019. APRA AMCOS are offering music grants for projects, events and organisations that benefit their members. Applications close 31st May 2019. 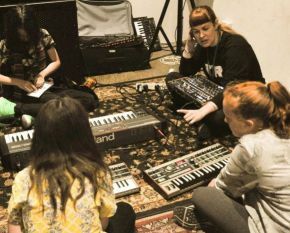 Australian music business management and accounting services business White Sky and not-for-profit charity One Of One have joined forces to launch a brand new governance scholarship for women in the music industry. The recipient of the scholarship will be funded to attend a board governance training program tailored specifically for women. Applications are now open and close April 30. The Western Australian Symphony Orchestra (WASO) is calling for Expressions of Interests from outstanding violinists with leadership experience for the position of Associate Concertmaster. Music & BIGSOUND Festival are looking for their next CEO. As the CEO you will lead a team of people who are rightfully proud to be part of an organisation that delivers quantifiable outcomes for the music industry in Queensland and across Australia. Boutique Australian PR and marketing agency, Kitty Kitty Bang Bang is seeking an experienced publicist who is passionate about publicity, the arts and making a difference in the careers of their clients. Livewire Australia are looking for an intern that is interested in learning about working with press releases, leasing with band management and PR, writing engaging reviews, interviews, social media and any other ins and outs of the music industry. Applications close 16 May 2019. Rock Scholars regularly holds music workshops, masterclasses and clinics and can also facilitate corporate events and school incursions. With our talented team of mentors and tutors, and our extensive music industry contacts, we have a wealth of knowledge and experience we can call on to present and teach on a range of topics. Lab Six courses to groups and individuals in a friendly and professional environment. With a focus on hands-on learning and practical exercises, we encourage students to reach their creative potential by providing a diverse curriculum encompassing all styles of music. To be the best; learn from the best. Absmart is partnering with Chris Gibbs and the York Community Resource Centre to bring Certificate, Diploma and Advanced Diploma training to regional Western Australia. 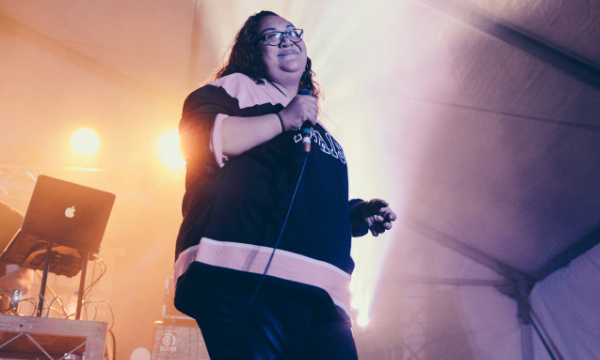 WAM and APRA AMCOS, in collaboration with Tjuma Pulka Aboriginal Media Corporation, are bringing the successful Starting Ground workshop for Aboriginal and Torres Straight Islander musicians to WA for the first time, from April 30 to May 1. WAM‘s teaming up with APRA AMCOS to bring you another Music Industry Sundowner Session, this time talking all things vocal health with WA’s very own vocal health specialist and voice coach, Edwina ‘Edde’ Masson. All local singers are encouraged to join us 6-8pm on Monday 29th at Cleaver Street & Co.
Lolly Box Music‘s mission is to connect their international network of project music buyers with carefully-curated content from the extraordinary pool of talented songwriters and musicians ‘down under’ in Western Australia. So if you’re keen to submit your songs for possible placement in film, television, advertising or video games, then you can upload them via their Submissions page. Are you a local band or musician looking to get a music video made? Check out Home Brew for Revelation Perth International Film Festival. The deadline for applications has been to extended to 5pm AEST 2 May 2019. The competition aims to support talented songwriters while raising much-needed funds for not-for-profit organisation Nordoff-Robbins Music Therapy Australia (NRMSTA). With the sale of vinyl records on Bandcamp increasing by 600% in the last five years, they are excited to announce their new vinyl pressing service which aims to streamline the financing, production and fulfilment of vinyl records. With no up-front investment, an artist or label can create a vinyl campaign and start taking orders almost immediately. Once they reach their minimum goal, Bandcamp will press their records and ship them to their fans. The Seed Fund Successful Applicants Announced!